Minneapolis hip hop artist Reverse Mechanic released a stunning single in 2016, entitled “The Box”. The track was a response to hatred, bigotry, and societal pressure, to not stand out or be different. 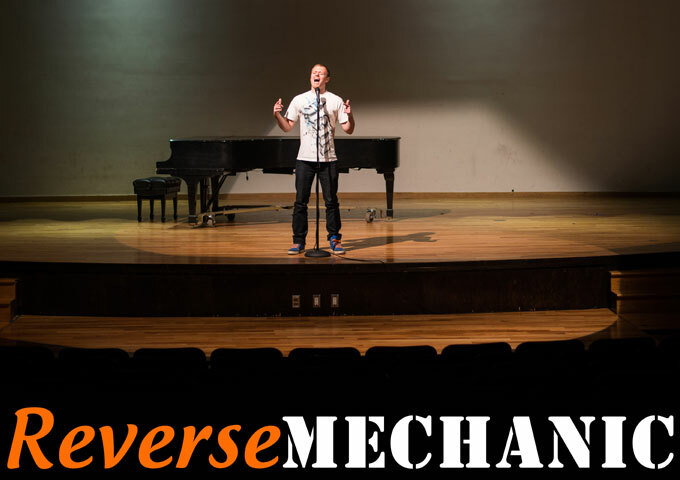 “In the midst of so much racial, political, gender-based, and general social tension; it is important to celebrate our differences and remember that humanity cannot fit in a box,” said Reverse Mechanic. Now he kicks 2017 off with a brand new release entitled “This Hole In My Throat” (feat. Michael Shynes). I was almost scared to listen to the track, for fear of being disappointed. Just how does he top “The Box”, I was thinking? That track had a deep message, a superb beat, excellent vocals and lyrics, plus Reverse Mechanic’s relentless flow. Unexpectedly, “This Hole In My Throat” (feat. Michael Shynes) is even more impacting on an emotional and intellectual level. The slower arrangement hits in all the right places, while the sheer volume of its intrinsic sensitivities makes it a killer track from front to back. The whole project is tucked in so nicely fitting Reverse Mechanic’s dramatic wisdom style. The Minneapolis native shows his ability to tap into new sounds, while delivering enough classic style to appease loyal fans, while still pushing the crossover envelope into new spaces he has never been before. “This Hole In My Throat” (feat. Michael Shynes) is close-up and personal, visceral to the point of being almost claustrophobic. It won’t let you breathe easily until you swallow the entire message. 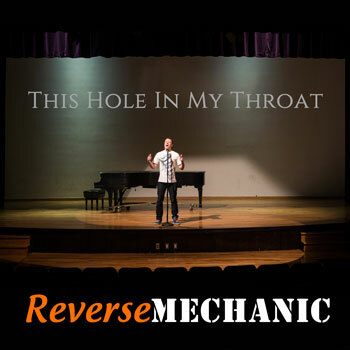 Reverse Mechanic is arguably one of the most talented underground, and unsigned rappers on the planet, in terms of rhyming, speed, annunciation, and lyrical content. Not only is his rapping impressive, but full of depth. He is truly a master of his craft and continues to amaze me. Reverse Mechanic is living proof of the significance of independent music and the impact lesser known songs can have. The choice of Michael Shynes on the vocal hook is a naturally brilliant one. Michael is a soulful singer with great depth and range in his voice. He adds another resonating dimension to an already emotional song. The result is a professionally executed track that could compete with just about anything on the market – indie or major – for sheer production quality, let alone artistic creativity. 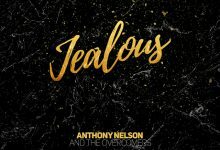 While providing mind racing lyricism that hip hop fans will love, Reverse Mechanic shows that he is no tin man, displaying the vulnerability, pain and anguish he feels deep down inside.